Running a Rental business is tough. 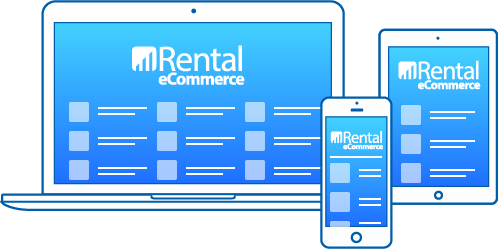 The Rental eCommerce platform was designed by and for Rental industry professionals to streamline the sales process and help you focus on the areas of the business that need it most. Put your carts, leads and inquiries on auto-pilot as our SEO-optimized platform improves your discoverability and lead volume. Close more sales, faster. Integrated email, phone and texting capabilities put everything you need at your fingertips, right from the platform. All interactions are logged to help identify and reward your rock star sales reps, and improve accountability across the team. 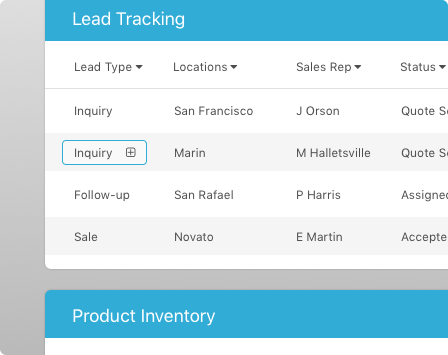 And with the optional Lead Scoring module, you can prioritize prospects in real-time to stop chasing window shoppers and focus time on your highest-value leads. Schedule your demo today to make your website work as hard as you do. The only thing that matches the Rental eCommerce platform's technical ability to scale is the industry experience that comes with it. No matter the number of stores or locations, we know what works. 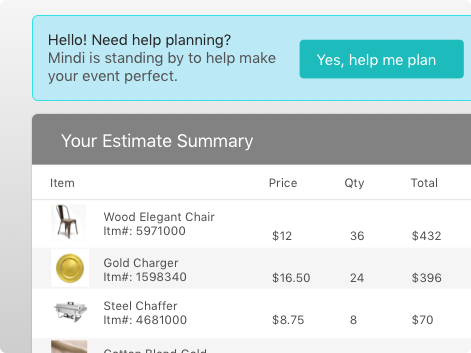 From tables and chairs to staging, furniture and even kitchen equipment, our product navigation techniques provide easy access to every category imaginable. Built-in filters and search capabilities help customers find exactly what they’re looking for, fast. Interactive design boards make planning special events a breeze. Customers, planners and sales representatives can let their imaginations run wild, bringing events to life with a custom moodboard using your available products. Built-in publishing tools help you tell your own story. Demonstrate your capabilities, share some helpful hints and increase your search engine discoverability with easy-to-use content creation. Performance-Tuned, Mobile-Friendly and SEO Optimized. Every page of your website on the Rental eCommerce platform is engineered for peak performance on any device. We use advanced techniques including optimized compression, content delivery networks, and database architecture to provide the fastest user experience available. Don’t waste your money on SEO "experts" and web hacks — the secret sauce for maximum ranking is already under the hood. Seamless integration into your workflow. With our optional ERP integration, you can process quotes, request payment and even provide advanced pickup notifications directly to your customers, saving you time and delivering an exceptional customer experience.